Many of the team at Invertek Drives Ltd's global headquarters took part in their very own bake off in aid of charity. They were challenged to bake items as part of a competition in aid of the Macmillan Cancer Research charity. Product Manager Andy Bullough took first place with his cake. The event raised £153 as well as the tastebuds of those who went on to buy the cakes that had been baked. 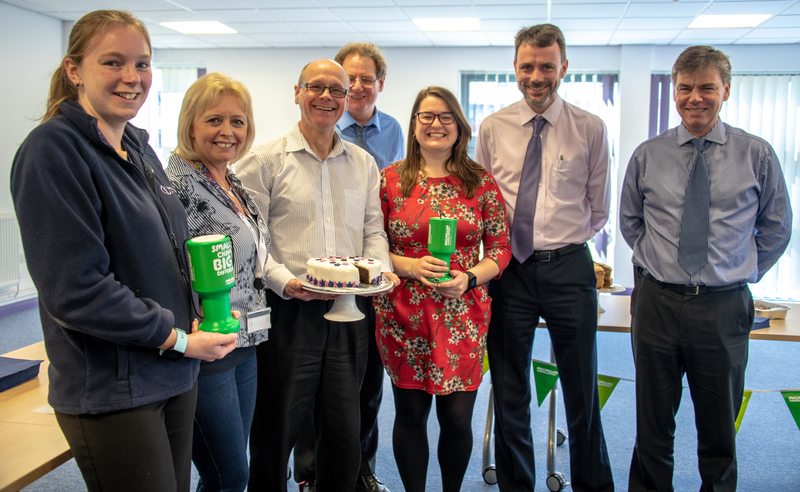 Photographed are (from left) Rhian Jones and Belinda Maiden (judges), winner Andy Bullough, judge Harry Gilbertson, organiser Bryony Wilson and Invertek directors Glyn Jones and Dr David Jones.